The book provides full account of how Raman and his students created and perpetuated myth that Raman Effect was discovered by spending just 200 to 500 Indian Rupees. It is a part of folklore about Indian science that Sir C V Raman made his Nobel-prize winning discovery in 1928 using instruments which cost just a few hundred rupees. A new book by a science historian has busted this myth. Dr Rajinder Singh, a well-known historian of science, in his new book titled C V Raman's Laboratory and Discovery of the Raman Effect, has brought to light certain hidden aspects of the Nobel laureate's life and work. This is Singh’s third book on Raman. 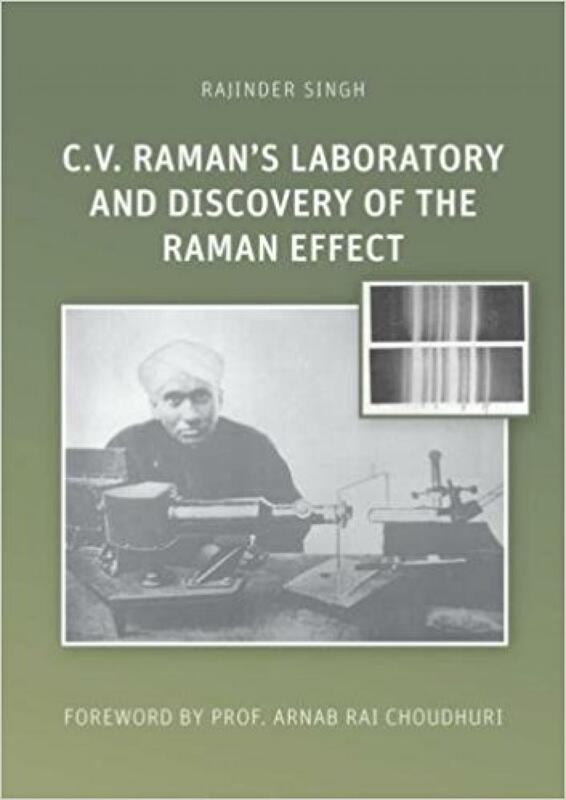 The book provides full account of how Raman and his students created and perpetuated myth that Raman Effect was discovered by spending just 200 to 500 Indian Rupees. The myth was floated and publicised in national newspapers (The Bharat Joyti, National Herald, Indian News Chronicle) in 1940s and in the memoirs written by Raman's students. It was projected that the facilities available at the Indian Association for Cultivation of Science (IACS), Calcutta, where Raman did his experimental work, were poor. In newspaper interviews Raman himself spoke about poor facilities available for Indian scientists. The cost of equipment used by Raman, as mentioned in newspaper articles, ranged between Rs 200 and Rs 500. Raman’s biographer and one of his former students, A. Jayaraman,wrote that “the equipment which Raman employed for the discovery was very simple and amounted to a total cost of 500 Rupees at the time.” The new book provides adetailed list of instruments used by Raman with their cost. Their total cost has been worked out to be Rupees 7630, excluding money spent on chemicals, which cost a handsome amount those days. It details the circumstances and instruments used during discovery of Raman Effect step by step on the basis of the diary of his co-scientist KS Krishnan from February 16, 1928 onwards. The chapter is a compendium of instruments such as mercury lamps, light filters, spectroscopes and other accessories required for Raman's investigations leading to his discovery and the Nobel Prize. Raman started his research activity in 1907 at IACS and it included areas as diverse as acoustics, optics, X-rays, and crystallography. His research team included the best talent available in India, as shown in the book. The library of IACS subscribed to 100 popular scientific journals from Europe. Thus the research facilities were not only adequate but almost 'unlimited', according to the author. It was Raman's dream to make IACS an international centre of research in India. Besides the instruments used by Raman, the book provides an account of Raman's general activities as a faculty member, his opponents at the University of Calcutta and the international honours received by him as Palit Professor. Asutosh Mookerjee, an educationist and judge who later became Vice Chancellor of Calcutta University, was a staunch supporter of the scientist. Raman was made Palit Professor of Physics even when he had no foreign research degree equivalent to D.Sc and that too on his own terms and conditions against the rules of the University. However, Raman proved his worth by winning a Nobel Prize in 1930. Raman was provided "Ghose Travelling Fellowship" under which he could visit most of the research laboratories in Europe, USA and Canada. He wrote a proposal for expanding his research activities after such visits which was rejected by the university. He wanted to change rules for Ph.D. registrationbut the University Senate did not approve the idea. Raman fully participated in university administration and accepted assignments in various academic bodies of the university. He preferred Bengali as medium of instruction over Sanskrit. The most interesting section in the book talks about Raman's so-called opponents at the university. In one instance, Raman annoyed JC Bose by offering higher salary to his trustworthy mechanic to uproot him from the Bose Institute. Raman was highly critical of research work of JC Bose and did not spare a moment to criticise him even after his death. The other scientists of the Calcutta School who did not see eye to eye with Raman were MN Saha, BS Guha, UN Brahmachari and Ganesh Prasad. The author has revealed his acumen to bring to light the reasons for the conflict between the dons of Calcutta University and Raman. Ultimately, all opposition to Raman fizzled out after he got international honours as Palit Professor. He was conferred the Fellowship of Royal Society London, Knighthood of British Empire, and the highest award in Physics, the Nobel Prize. I want to finish my review with brilliant but somewhat sarcastic remarks of Arnab Ray Choudhury: "Raman as a scientist possessed many extraordinary qualities - brilliance of mind, astute intuition, dogged determination, tenacity, an almost unbelievable capacity for hard work - certainly modesty was not one of his qualities".